Record your screen with high quality efficiently. Share your video with the world. Screenote helps you to create high quality app/software demos, training, presentations, tutorials, lectures, ... by recording everything from your screen and webcam. Screenote also helps you to publish your exported video on YouTube, Dropbox, vimeo and so on. Screenote records fullscreen and supports high resolution display (retina display). It also support high resolution external display. Screenote records screen up to 30 frames per second. You will not miss any details on the screen. 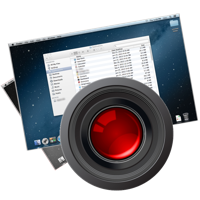 Screenote exports your recording to several popoular video formats. This makes it possible to share your video to any popular devices and networks. Global hot key to start/stop recording. You can also specify the output video size/resolution, crop the output video, add watermark, edit the video length, export video and/or audio(microphone) and more! Support to add text watermark. Support to export high bit-rate mp4 file. Support to export lossless video at best quality.